Welcome to my blog! 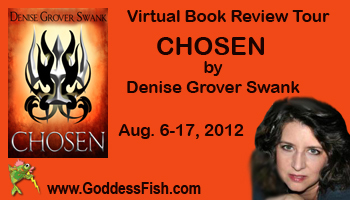 I’m excited to present Denise Grover Swank’s book Chosen. This first in a series opens with a punch and stays on course from start to finish. The plot is smoothly woven without extraneous details to lull you to sleep. 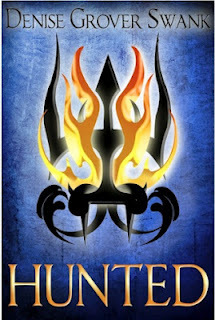 A new voice in the urban fantasy genre, Grover Swank is definitely one to watch. Add this to your shelves. “We can trust him,” the boy repeated. 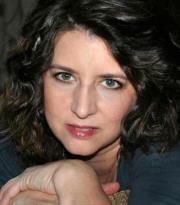 She turned to look out the windshield and hung both of her arms over the steering wheel. “Are you sure?” she asked, staring straight ahead. She rested her chin on her hands and closed her eyes. He decided she must be trying to figure out how to deal with this change of events. Personally, Will thought it was going too far on the permissive parenting scale letting a preschooler make a decision like that, but hey, it worked in his favor. He sure wasn’t going to protest. “Who exactly are they?” Will asked. As far as he knew, he was the only one on this job. He’d be pissed if they hired someone else as backup. “Why would you do that?” Her eyes narrowed as she looked behind for signs of the SUV. Will had seen the damage. The SUV wasn’t going anywhere. Where the hell had she learned a move like that? “Do better than that,” she snorted. He liked that she wasn’t easily snowed, even if it made his job more difficult. “Let’s just say I’m hoping to get lucky, and maybe if I’m nice enough, I will.” He gave her a slow, lazy smile as he leaned against the door, crossing his arms. It seems like Emma and her son have been running for their lives forever. But who are they running from and why do these people want to kill them? Only Jake’s ability to sense when the unknown people are getting close has kept them alive. Enter the stranger, Will, who will save them from the unknown. Or does he? This is an intense thriller from the very beginning about a prophecy of the promised ones (The Chosen One, The Queen, The Elevated One and The Supplanter) who will meet in another time to overcome an evil that can only be imagined. A great read! On to the next in the series. 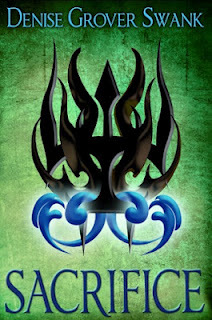 I have to say I am intrigued by CHOSEN. I look forward to reading the entire series. Thank you for hosting Denise today. Ohhhh! This series sounds *so* good! Thank you for the review! Thank you so much to taking part in my book tour today! It was my pleasure! 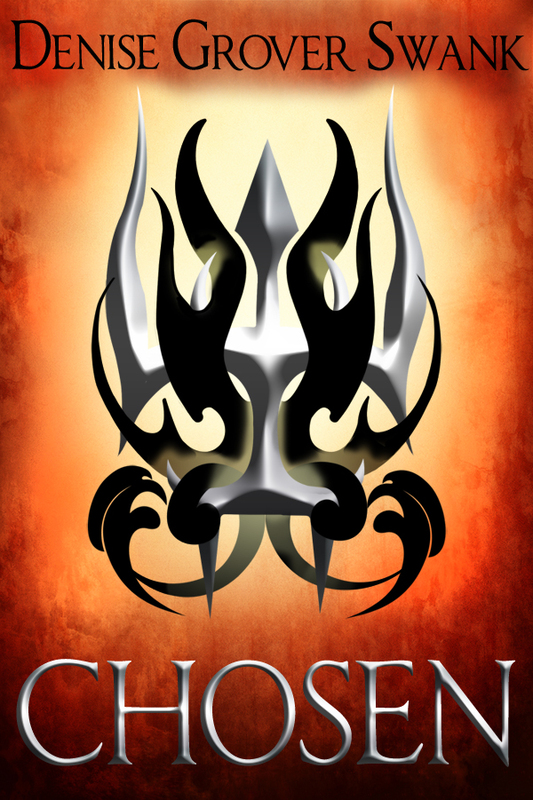 I enjoyed Chosen very much and look forward to reading the next in the series. This is really an exciting sounding story. I love that it is part of a series. The whole thing sounds very involving! This does sound like a good thriller.